Green screen photography utilizes (you guessed it) a green screen, special lighting and photography equipment and specialized computer software. The background can be absolutely any image. Imagine the person or group standing on the moon, on a beach, in the old west, the possibilities are endless. Green screen photography can also be used to place a person’s face on a magazine or book cover. Green screen photography is perfect for theme parties, corporate events, school events and Bar and Bat Mitzvahs. Any time you want to give your event guests memorable souvenir photos. Green screen photography and videography is frequently done to achieve a lot of the special effects seen in movies and on television. 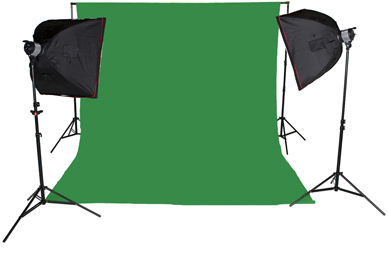 Green screen photography can be complicated, as you must use the right equipment and lighting. If done correctly thought the results are fantastic and very entertaining. To find out more about how green screen photography can add entertainment to your event contact Photo Booth Express today at 877.492.6684!